This program provides protection for the Policyholder against claims of bodily injury liability, property damage liability, personal and advertising injury liability and the litigation costs to defend against such claims. Coverage is provided up to $1,000,000.00 per occurrence. Call 866-885-2002 or buy online. Looking for a policy with options that can cover liability, rented attire, lost deposits, lost photos and more – buy online here? Sample of exclusions (from liability only policy referenced on this site) — refer to policy for specific details. Claims made by athletic participants, aircraft, all acts of terrorism, asbestos liability, assault and battery, collapse of temporary structure, employment related practices, fungi and bacteria, hepatitis, HIV, HTVL, AIDS, transmissible spongiform encephalopathy, lead poisoning, nuclear energy liability, professional liability, pyrotechnics activity, total pollution, war liability and liability for occurrences prior to the effective date of coverage. All of the above are subject to the terms and conditions of the policy. Note 2: Wedding Plus/Wedding+/Special Event Liability Quotes from United States Liability Insurance Group may include different exclusions, please refer to quote for more information. This option increases the aggregate limit of liability insurance to $2,000,000. Can I get more coverage that just liability? Looking for a wedding policy with more coverage options? A chair breaks and someone falls, aggravating an old back injury. Someone trips and falls at the event. You can budget for insurance, but you can’t predict the cost of a claim. The legal defense costs alone could bankrupt someone. When do I need to buy wedding insurance? You need to purchase the insurance AT LEAST before the day of the event. You can buy it weeks or months in advance too, but make sure to complete your purchase before the day of the event. If you have any trouble buying online, please call us at 949-270-0609 or use the online chat below. Once you purchase a policy, it is fully earned, meaning non-refundable. You do have the option to purchase rain-date coverage. When you get your quote, you will see a list of options from which to choose. You may have a request for a certificate of insurance from your venue. The certificate shows a summary of the general liability coverage on a policy. If your wedding venue has requested to be added as an additional insured, then you will be able to add it when you purchase a policy and receive your certificate. Do my vendors and entertainers need insurance? YES! If you have a caterer, disc jockey, florist, or other vendor at your event they need general liability insurance. If a vendor is serving alcohol, make sure that they have liquor liability insurance. You can buy liquor liability insurance with your quote as well. If you vendors need a policy, they can choose from an option below. 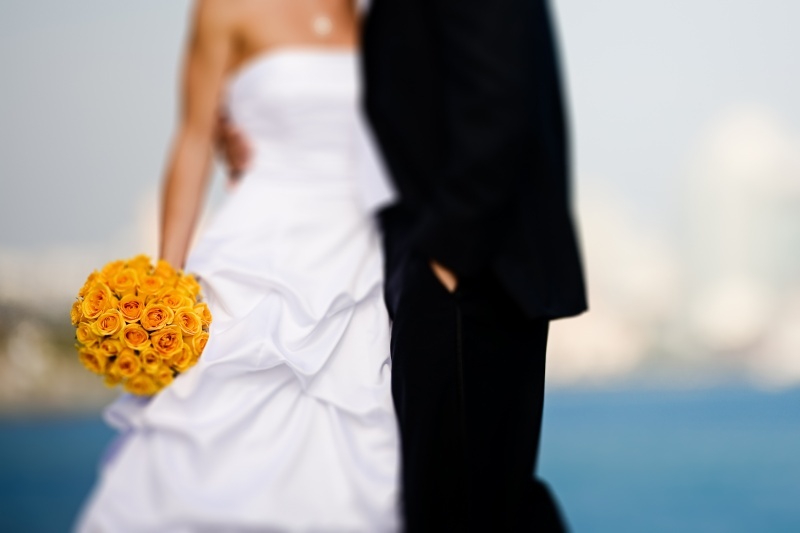 Wedding Insurance should be a priority when planning your special day.